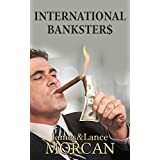 In our hard-hitting book INTERNATIONAL BANKSTER$: The Global Banking Elite Exposed and the Case for Restructuring Capitalism, we apply the metaphorical blowtorch to the central banking system – that financial entity responsible for overseeing the monetary system of a nation. A lot of the financial corruption exposed in our book relates – either directly or indirectly – to the central banking system. Given central banks are responsible for overseeing the monetary system of a nation, managing its currency, setting interest rates and steering an economy toward inflation targets, we devote an entire chapter to the central banking system. Central banks are also often called reserve banks. For example, the Federal Reserve (also known informally as the Fed) is the central banking system of the United States. 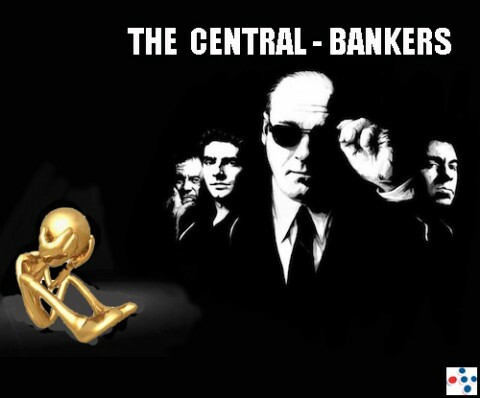 Other examples of central banks around the world include the People’s Bank of China, the Reserve Bank of Australia, the Central Bank of Brazil, the Bank of Japan, the European Central Bank (ECB) and the Bank of England. Elements of modern central banking systems have existed for around a thousand years and date back to The Song Dynasty (960-1279 AD) in China where the first circulation of a paper currency occurred. The legendary Knights Templar – the wealthy Christian military order that reigned in medieval Europe for almost two centuries (1119-1312 AD) – ran a banking system that economists widely believe inspired present-day central banks, including the Federal Reserve in the US. However, it wasn’t until the 17th Century that the first official central banks were formed as certain nations such as the Netherlands, Sweden and the UK began to move away from commodity money (usually silver or gold) to circulating notes that simply represented ‘promises to pay’. From there, the central banking system spread like wildfire all around the world. Eventually, such banks cropped up everywhere from Africa and Central America to South America and Asia. There are certain independent researchers, perhaps of the sensationalist variety, who have said “central banks are pure evil” or made other such alarmist statements. However, in reality, if a nation’s central bank is managed without internal corruption and without interference from foreign countries, it should actually be a stabilizing force. In theory, a central bank can shield an economy from volatility in financial markets not to mention prevent fraudulent activities committed by commercial banks. But the operative word, of course, is corruption. Throw corruption into the mix and central banks start veering toward the “pure evil” term some ascribe to them. Next, we devote a short chapter to the history of central banking in the US, and, of course, the mighty Fed, aka the US Federal Reserve System, features prominently…but more about that later. Beyond the official summaries of the world’s wealth, and how few control it, there is in our opinion a hidden system of finance, which, if one day proven, will show there is an even greater gap between the global elite and the rest. We expand on this in our book INTERNATIONAL BANKSTER$: The Global Banking Elite Exposed and the Case for Restructuring Capitalism. It’s generally accepted the world’s so-called ‘Rich Lists,’ from Forbes and the like, are not accurate in that their estimates of the Rich Listers’ wealth are just that – estimates. However, according to our research, the world’s wealthiest individuals don’t necessarily even make the lists. It has been purported by financial researchers and others in the know that there are individuals whose net worth would dwarf whoever tops the Forbes Rich List at any given time – net worth the likes of Bill Gates, Warren Buffett or Carlos Slim Helu could only dream about. This may be hard to fathom, but it’s important to consider two points when analyzing the finances of the global elite. Firstly, without being able to inspect the bank accounts of billionaires, Forbes and similar Rich List publishers can only make crude guesstimates of individuals’ true worth. As a result, their lists are anything but official and their accuracy is questionable – something the billionaire community is quick to point out. Secondly, beyond those individuals and sums mentioned on the Rich Lists, there exists what is often referred to as invisible or hidden wealth. This involves non-disclosed fortunes that are virtually impossible to detect. The planet’s invisible wealth is comprised of undeclared income stashed away in offshore tax havens and Swiss bank accounts, secret Old World money and black market economies in which criminal enterprises conduct their business. The criminal enterprises referred to include illegal drugs and arms dealing. One such arms dealer is Saudi Arabian Adnan Khashoggi who some banking and financial commentators estimate had a massive personal fortune of between US$2 trillion and US$7 trillion in the 1980’s. However, the world is still waiting for its first official trillionaire, and Khashoggi’s fortune was only ever estimated by Forbes and the likes to be worth between $400 million and several billion. If the rumors of Khashoggi’s multi-trillion dollar personal fortune were true then there’s an extremely wide gulf separating unofficial and official estimates of his wealth. The 2005 feature film Lord of War, directed by Andrew Niccol and starring Nicolas Cage and Ethan Hawke, is said to have been inspired by Russian arms dealer Viktor Bout. Like Khashoggi, Bout is rumored to have amassed a huge personal fortune impossible to estimate. Cage’s character, a Ukranian-American arms dealer, is shown in the movie to be above the law with apparently unlimited money and resources. The now deceased former Philippine President Ferdinand Marcos is another individual strongly rumored to have profited from the black market. Many who investigated Marcos, including politicians in the current Philippine government, say much of his wealth was secured from discoveries of the WW2 Japanese treasure hoard known as Yamashita’s Gold. As the existence of those treasures was never acknowledged by any government, it’s conceivable President Marcos could have amassed a large fortune impossible to trace or estimate. Some investigators say his secret bank accounts amounted to trillions of dollars. If this sounds totally unbelievable, consider the television interview his widowed wife Imelda Marcos gave in 2009 for the BBC TV travel series Explore. While being filmed inside her lavish home in the Philippines, Imelda told BBC presenter Simon Reeve that her late husband was heavily associated with gold mining companies and also traded in gold. The former First Lady then presented Reeve with an official document. Although she would not allow the document itself to be filmed, Reeve confirmed it was a Certificate of Deposit made by Ferdinand E. Marcos in a bank in Brussels, Belgium, for the amount of Nine Hundred and Eighty Seven Billion United States Dollars. For those who don’t have a good math brain, that’s only 13 billion short of a trillion bucks. If true, this sum in Marcos’ Belgium bank account alone would be almost 13 times more than Bill Gates’ total current fortune. The legacy of the former president becomes even more staggering when considering that this was just one of his bank accounts; the Philippine government has confirmed through investigations of its own that Marcos had many such secret accounts in banks all over the world. Many veterans of the banking and financial sectors have either stated or heavily implied that the world’s money supply is essentially being created out of thin air and has no real value. Those who subscribe to this school of thought say the shaky foundations of financial systems in the 21st Century is mainly down to the fact that all countries use Fiat Money, or inconvertible paper money made legal tender by government decree. We examine the phenomenon that is Fiat Money in INTERNATIONAL BANKSTER$: The Global Banking Elite Exposed and the Case for Restructuring Capitalism – Book #5 in our Underground Knowledge Series. Throughout history, at various times and as recently as only several decades ago, other monetary systems were traditionally used such as Commodity Money or Representative Money. This meant the value of the money was either in the currency itself (e.g. real gold and real silver coins) or else the currency was a direct representative of a real commodity in physical storage (e.g. gold and silver certificates). However, other financial whistleblowers argue the monetary and inflationary problems undermining the world at present have more to do with the fraudulent activities within elite banking circles than they do with the Fiat Money system. This headline in The Washington Post edition of May 20, 2015, caught our eye: “Five big banks agree to pay more than $5 billion to settle regulatory charges.” That sounded like a reasonably large fine to us…until one critic described it as “a slap on the wrist”. When you consider the monies involved, that critic is probably right. “Five of the world’s largest banks have agreed to pay more than $5 billion in fines to settle charges made by regulatory agencies and the Justice Department that the banks had acted in concert to manipulate international interest and foreign currency exchange rates. The article continues, “The scale of the price-fixing scandal is hard to grasp, yet it touched, imperceptibly, almost every company and individual in the financial markets. By tweaking global benchmarks used to set foreign exchange and interest rates for a staggering number of transactions a day, the banks — over several years — bilked billions of dollars of extra profits by altering rates in their favor. “Dennis Kelleher, president of Better Markets, a non-profit group, said that the Justice Department had not done enough, saying ‘it talks tough, but winks at Wall Street’s too-big-to-fail banks’ criminal conduct, structuring sweetheart deals to minimize the impact on the criminals.’ Kelleher said the fines alone wouldn’t deter future criminal acts and that the Justice Department should punish bank executives and their supervisors for bad behavior. ‘Banks don’t commit crimes, bankers do,’ he said”. “Banking is changing, slowly, but its culture is still corrupt.” That’s according to a headline in The Guardian newspaper’s edition of November 16, 2014. We are asking the same question. Hutton continues, “The systemic ripping off of customers continued after the financial crisis to constitute what is now the biggest-ever global corporate scandal. Banks worldwide duped clients into buying products that were either not needed or provided no purpose. Worse, they organised financial markets whose purpose was to serve their own interests rather than those they purported to serve. It has proved a hard habit to break. “British banks selling payment protection insurance (PPI) products on an industrial scale were doing what a street vendor in a bazaar might try. It shouldn’t have happened but it’s a perennial temptation. Finance is more exposed to this sort of risk, because customers are more credulous about financial products; and also because regulators have allowed banks to book the profits from products they sell on the moment of sale rather than over their life”. Hutton concludes, “And yet reading the chatroom banter, with its echoes of the banter over mis-selling PPI, rigging interest rates or derivatives, offers a window into a very degraded culture. Making money from money, with the clients’ interest last, is too dominant an element in the culture of investment bankers. Companies are seen by too many people, notably shareholders, as just instruments for self-enrichment”. But honestly, what can we expect from banksters when all they usually receive is a “slap on the wrist” from lawmakers whenever they get caught doing wrong? You have been reading an excerpt from INTERNATIONAL BANKSTER$. 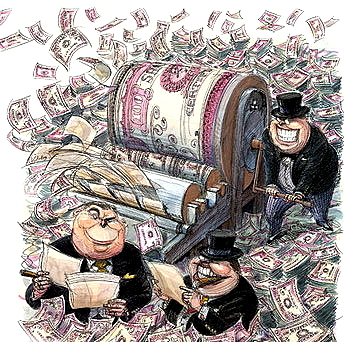 Welcome to the world of banking…creating $$$$$ outta thin air! We address this in book five in The Underground Knowledge Series – the contentious new release, INTERNATIONAL BANKSTER$: The Global Banking Elite Exposed and the Case for Restructuring Capitalism. We gotta ask…What value do currencies really have? You have been reading an excerpt from INTERNATIONAL BANKSTER$. (To be continued). Authors take a real close look at banking in the 21st Century – and don’t like what they see! You don’t need to be a financial wizard to know that corruption is alive and well inside the global finance sector. On a daily basis we are bombarded with mainstream news headlines confirming exactly that – the corruption rumors swirling about the European Union (EU) and the escalating Greek financial crisis being a case in point. We explore these themes in our new release book INTERNATIONAL BANKSTER$: The Global Banking Elite Exposed and the Case for Restructuring Capitalism. Banks and bankers, of course, are at the very apex of the finance sector. So let’s take a closer look at banking in the 21st Century. Surprisingly, some of the most perceptive insights into today’s banking system and the problems that pervade it are to be found within alternative media. It turns out there’s a number of former bankers and money men (and women) to be found within the ranks of the citizen journos, or lay journalists, who ‘man’ these alternative media sites. “Banks for decades have been the central source of where we save, manage and deposit our money. Many people do not know what actually goes on when your money is deposited. The bank uses your money to invest then gives you a fraction of what they make in interest. Sometimes that interest can actually end up being nothing due to the “fees” they actually charge that are excessive and fraudulent in most cases. “Lately, banks have increased these fees some 54% resulting in profits of 34 billion dollars per year. It becomes increasing(ly) difficult to balance a checkbook anymore because of these “hidden fees”. If you have a savings account, you are also being ripped off with monthly fees just for having the privilege”. “Banks engage in abusive practices that maximize overdraft fee revenue. The most common triggers of these fees are small debit card transactions that could easily be denied for NO fee. “They charge exorbitant fees that bear NO relationship to the cost of covering an overdraft. “They charge excessive numbers of overdraft fees over the course of a day, month or year. “Automatically enrol customers in the most expensive overdraft protection possible. “Monthly fees from nine dollars to thirty dollars for checking and savings accounts that used to be FREE. “They push customers to use debit cards because it cost them LESS to process but GOUGE retailers and customers because of the monopoly setup of the payment system”. But of course hidden fees are minor tools, or strategies, compared to other tricks of the trade employed by banksters. For a more ‘qualified’ insight into the money system, money markets and banking, you can’t go past Ellen Brown’s bestseller Web of Debt. An attorney, Ms Brown is founder of America’s Public Banking Institute. She’s also a harsh critic of what she describes as the money system. “Our money system is not what we have been led to believe. The creation of money has been “privatized,” or taken over by private money lenders. Thomas Jefferson called them ‘bold and bankrupt adventurers just pretending to have money.’ Except for coins, all of our money is now created as loans advanced by private banking institutions — including the privately-owned Federal Reserve. Banks create the principal but not the interest to service their loans. To find the interest, new loans must continually be taken out, expanding the money supply, inflating prices — and robbing you of the value of your money. “Not only is virtually the entire money supply created privately by banks, but a mere handful of very big banks is responsible for a massive investment scheme known as ‘derivatives,’ which now tallies in at hundreds of trillions of dollars. The banking system has been contrived so that these big banks always get bailed out by the taxpayers from their risky ventures, but the scheme has reached its mathematical limits. There isn’t enough money in the entire global economy to bail out the banks from a massive derivatives default today”. Even if Ms Brown is only partially right in that assessment, it still means there is a massive monetary predicament looming. Wanna know who’s manipulating the financial markets behind the scenes? Follow the money! 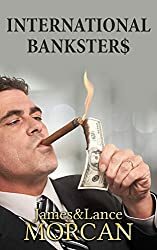 INTERNATIONAL BANKSTER$: The Global Banking Elite Exposed and the Case for Restructuring Capitalism, book five in our Underground Knowledge Series, identifies who is responsible for the gigantic financial gulf that separates the top 1% of the population from the common people, or the 99%. The financial overlords illuminated in INTERNATIONAL BANKSTER$ include the powerbrokers at Wall Street banks, European central banks, the US Federal Reserve and the Vatican Bank, as well as elite banking dynasties such as the Rothschild and Rockefeller families. This new release book discloses the real reasons for the series of recent financial crises. These reasons include: the secret world of “black money” and Old World money where most assets and income remain undeclared; the central banking system and the true nature of the Federal Reserve; the less-than-holy financial activities of the Vatican; the IMF and World Bank’s sometimes less-than-charitable dealings with the Third World; the austerity measures currently being inflicted on vulnerable nations like Greece; as well as the theory that the world’s money supply is essentially being created out of thin air. Beyond identifying the problems and exposing corruption, INTERNATIONAL BANKSTER$ proposes ideas for creating a fairer economic system. These ideas include: publicly owned banks; utilizing certain aspects of Islamic banking which may be compatible with Western banking systems; exploring whether capitalism and socialism can actually work in tandem; arguing the case to maintain but restructure capitalism; considering the merits of a universal income; and predicting how cybermoney, or cryptocurrencies, will influence the world economy in the coming years. As governments around the world continue to bail out privately-owned banking institutions ahead of rescuing the millions of citizens facing bankruptcy and eviction from their homes, INTERNATIONAL BANKSTER$ is a timely read. There’s a growing awareness in the general population of large-scale financial corruption by the global elite, or the 1%, if you will. This motivated us to write about it — INTERNATIONAL BANKSTER$, book five in The Underground Knowledge Series, has just been released on Amazon. Since the Global Financial Crisis of 2007-2008, many people around the world have been questioning whether there are certain figures or groups manipulating financial markets behind the scenes. This speculation intensified with the ensuing government bailouts of privately owned banking institutions ahead of the millions of citizens facing bankruptcy. As a result, many in the West now regularly second-guess their governments and assess any “financial relief packages” or “economic stimulus plans” with a high degree of suspicion and cynicism. Occupy Wall Street protestors show what they think of a corrupt economic system. What certain corrupt politicians and so-called business leaders may have overlooked is that the public are not stupid, and what the average person lacks in specific knowledge of financial markets they make up for in spades with street smarts and life experience. That and the masses have finally caught on to what has been going on for decades, if not centuries, with the money men of the world. There’s a growing awareness in the general population of large-scale financial corruption by the global elite, or the 1%, if you will. Surveys have also shown that a big percentage of the public feel they’re being manipulated by corporations, banks, international interests and the media as well as by politicians who appear to have less respect for voters than ever before. It’s almost as if the public sense there must exist within government little-known powerbrokers who are not for the people, but actually against them. Powerbrokers who are essentially thieves operating in the shadows and getting richer and richer at the expense of the average citizen. Let’s face it, it’s a really perverse world where we have almost unlimited military expenditure to finance wars, where our governments readily bail out privately-owned banks with multi-trillion dollar relief packages, and yet politicians tell us there is not enough money to cover the measly costs of our own citizens’ basic healthcare, food, education and shelter. As to the question of who is responsible for this gigantic financial inequity, the prime suspects are the banking elite who are clearly some of the most powerful and influential people on the planet. They shape the modern world far more than politicians do in our opinion. After all, money can buy administrations. Some would even argue money can buy elections as well. As a result of the public waking up to these sophisticated undercurrents beneath the surface of almost every major financial fraud, bankers are now held in about as high regard as criminal defence lawyers, used-car salesmen, debt collectors, arms traders and even drug traffickers. We trust all this justifies our usage of the word bankster to describe throughout this book the morally questionable banking profession. Bankster, by the way, is a portmanteau or blend word derived from combining “banker” and “gangster”. Its plural form, “banksters,” refers to the commonly acknowledged predatory element operating within the financial sector. We should point out, however, that whenever we use the term bankster it always denotes a high-level banker holding a senior position in the likes of major Wall Street banks, the Vatican Bank, the US Federal Reserve or the World Bank. So rest assured, the bank manager at your local branch is not (usually) a “bankster” and is unlikely to have been associated with any of the explosive financial crimes mentioned in this book. This book is divided into two sections. Part One outlines the problems we’ve identified in banking and finance, while Part Two proposes possible solutions. The first section is necessary because in order to consider solutions the problems must first be identified and dissected. Many books in this “exposing corruptions” genre offer no solutions to the problems; we hope you will agree that INTERNATIONAL BANKSTER$ is not one of those. In Part One, titled The Financial Overlords, we cover many of the major financial issues the world is enduring right now. Subjects include: the secret world of “black money” and the elite banking dynasties; the central banking system and the true nature of the US Federal Reserve; the less than holy financial activities of the Vatican Bank; the IMF and World Bank’s sometimes less-than-charitable dealings with the Third World; the austerity measures currently being inflicted on vulnerable nations like Greece; as well as the theory that the world’s money supply is essentially being created out of thin air. In Part Two, titled Potential Solutions, we propose ideas for creating a fairer economic system. These ideas include: publicly owned banks; utilizing certain aspects of Islamic banking which may be compatible with Western banking systems; exploring whether capitalism and socialism can actually work in tandem; arguing the case to maintain but restructure capitalism; and predicting how cybermoney, or cryptocurrencies, will influence the world economy in the next few years. We view the subjects covered in this book as being monetary issues on the surface only. In reality, they are humanitarian issues. 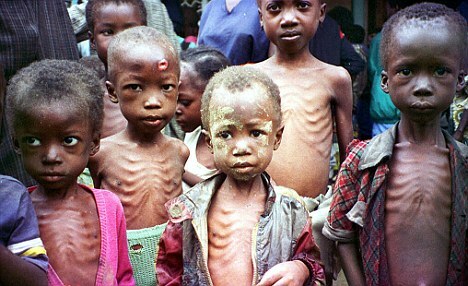 There’s more than enough money to feed these starving kids…So why are they starving? Starving the masses of financial opportunities, sinking them in debt and cheating them out of various services their taxes should pay for, are among the greatest sins those in power can commit. These sins result in widespread poverty, unemployment, increased crime rates, homelessness, drug addiction, overcrowded prisons and a whole host of other social problems. We hope this book will contribute to the growing awareness in the mass populace that there is, contrary to what the Establishment tells us, enough wealth in the world to fix most of the biggest challenges our planet is currently facing.